North Sydney Tree Services is one of the leading tree cutting Lindfield companies. As a property owner, you like to install trees in the outdoor spaces of your home. Not only do the trees provide shade and improve the quality of the air in your immediate surroundings, but also help maintain a more comfortable surrounding temperature. This is why it’s rare to find a property owner that would want to cut down the trees on their property. But there are times when trees grow very awkwardly or very close to a building and cutting them becomes the only way to mitigate the risk of the damage. When you are looking for tree cutting Lindfield companies, you need to look no further than North Sydney Tree Services. With years of experience behind us, we know what it takes to provide professional tree care services at very reasonable pricing. We are a reputed company that handles every job safely, quickly and reliably. In What Situations Would a Tree Have To Be Cut? In most of these situations, property owners assume that the only solution is to remove the tree. But you also have the option to call us for professional tree cutting as well. In some cases, it isn’t necessary to remove the entire tree and our experts can also cut the tree to a more manageable size and shape. Cutting parts of a tree that have been infested with pests or fungus can help the rest of the tree grow in a better way. We will assess the condition of the tree to identify what the best plan of action would be and then start on the tree cutting project accordingly. Our objective is to ensure that no tree is cut without a solid reason and that the safety of your property is maintained. Why Opt For Our Tree Cutting Lindfield Service? When you are looking for a local tree cutting service, you want to be assured that the company you hire has the ability, skill and experience to provide the services you need. There are a number of reasons why customers opt for our services. We also follow all the necessary safety procedures and make sure that your property doesn’t get damaged in any way. 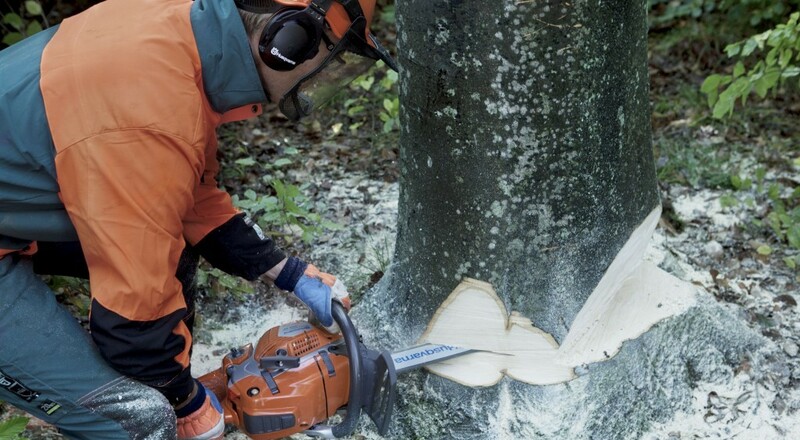 We are one of the most sought after tree cutting Lindfield companies. For any additional information types of tree services we provide, all you have to do is call North Sydney Tree Services on this number – 0429 399 399. You also have the option to email us your queries or request for a free quote via this Contact Us form. With us, you are always assured of the best services.